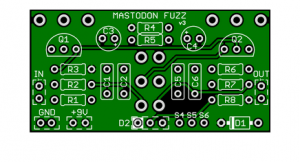 The Industrial Fuzz is modeled after a familiar 5-Knob Fuzz Pedal that goes to extremes or produces a smooth Fuzz face tone when not pinching the voltage. 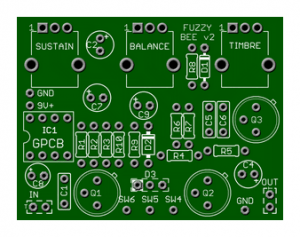 This is a wild and flexible fuzz circuit board from GuitarPCB.com. 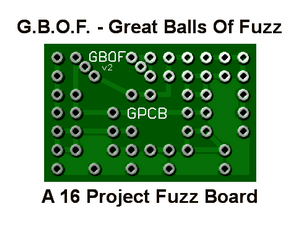 It can produce classic fuzz face tones, self-oscillating sounds, octave fuzz, and a variety of unorthodox sounds using the available 5 knobs. 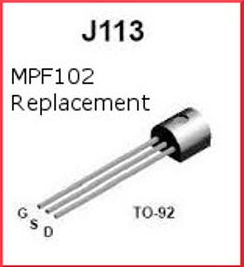 The J113 will do everything the MPF102 will do and is a perfect replacement for this transistor in any of our circuits. Circuits like the Stage 3 Booster, V6, SD70's and Angry Red Camel will thank you for an authentic replacement that works just as powerfully as the original NOS MPF102s. 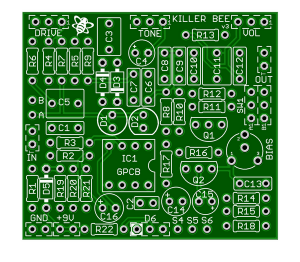 The Killer Bee does more than just make honey! All the sweet tone you would expect. 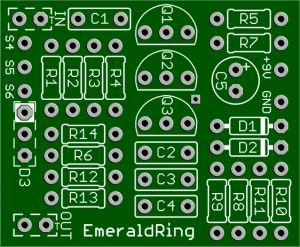 Alternatively , and where this circuit shines, is for those using an already overdriven tube amp. SERIOUSLY HUGE FUZZ! Defined controls that yield massive fuzz that both bites and growls. The Pinch control is where this pedal really shines. Thunderous gated tones or smooth Fuzz Face like tones are easily dialed in.The EQ allows full control of both bass and six string guitars. 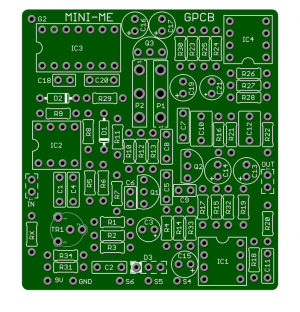 The MINI-ME Chorus circuit is based on the warm analog sound of the vintage 70's chorus pedals. 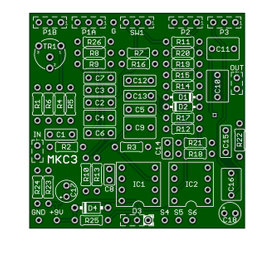 Superior Design: The circuit is isolated into two parts, each separately grounded for noise free operation in comparison to similar offerings. 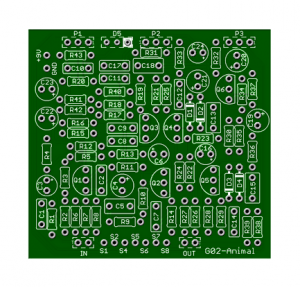 It also contains the opportunity to use On-Board Potentiometers if you wish and will easily fit into a 125B enclosure.